With brilliant 4K image resolution you can be confident that you will keep your audience captivated with consistent colours across a wide viewing angle which will allow everyone in the room to view clear text accompanied with crisp, vivid visuals. Dell monitor technology optimises fonts and ensures that visuals appear sharp while operating everyday programs, like Microsoft PowerPoint, Word and Excel. The anti-glare coatings reduce any distracting reflections which may come from any light source and the anti-smudge reduces any fingerprints, perfect for when you use the screen collaboratively in a conference setting, making use of the 20 points of touch. The InGlass Technology allows multiple people to interact with the screen via touch or using one of the two pens, with intuitive differentiation between finger tip and pen tip, you can easily switch between touch and pen-based interaction. Hosting a variety of connection ports including HDMI, VGA, DisplayPort and USB, it makes it easy to connect to most IT devices. 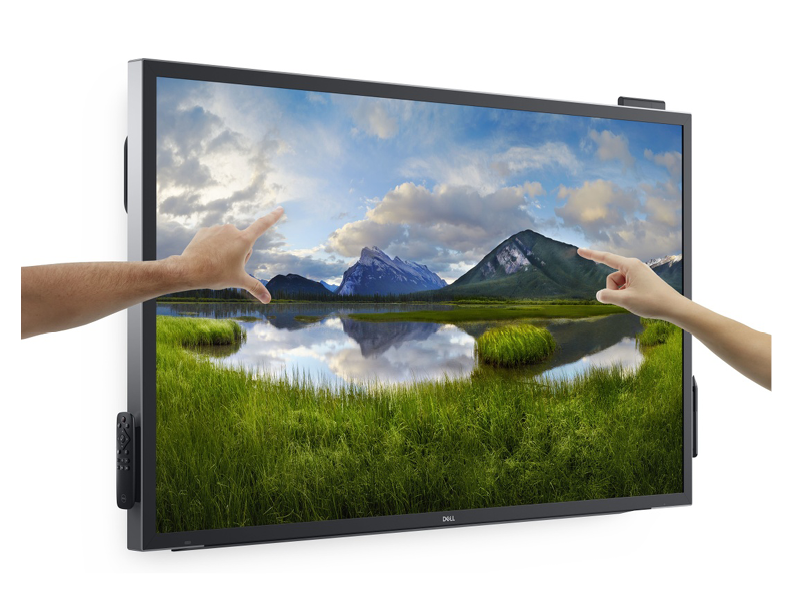 The Dell 55″ 4K features a unique design that’s compatible with the optional Dell OptiPlex Micro, which integrates seamlessly into the back panel without the need for a separate power cable.